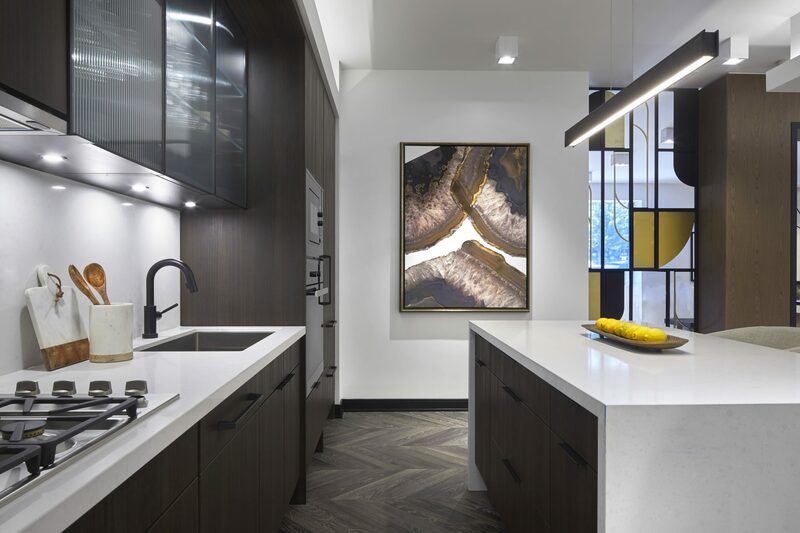 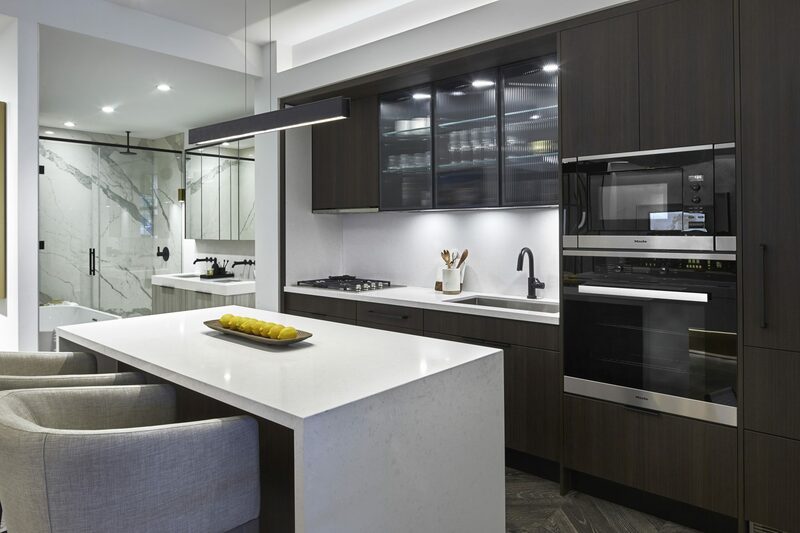 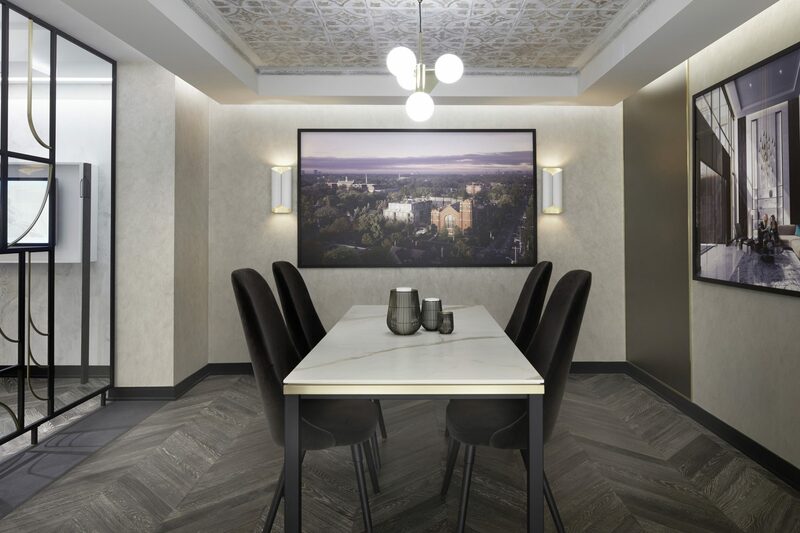 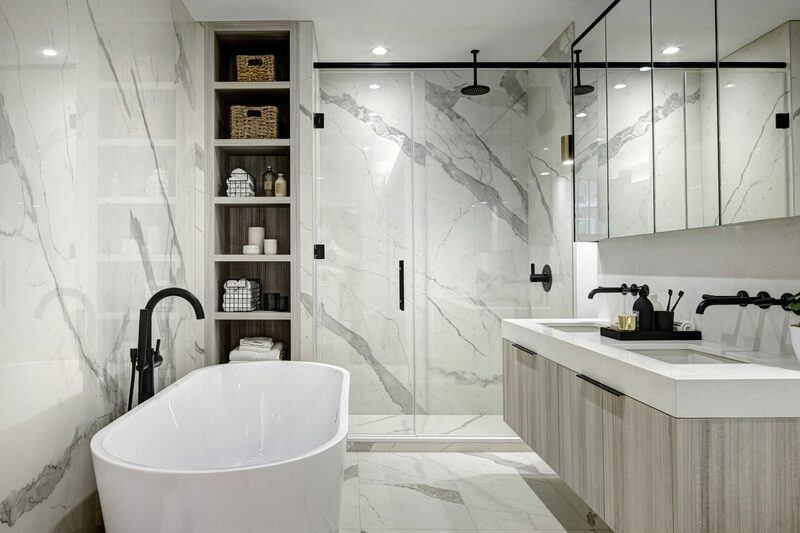 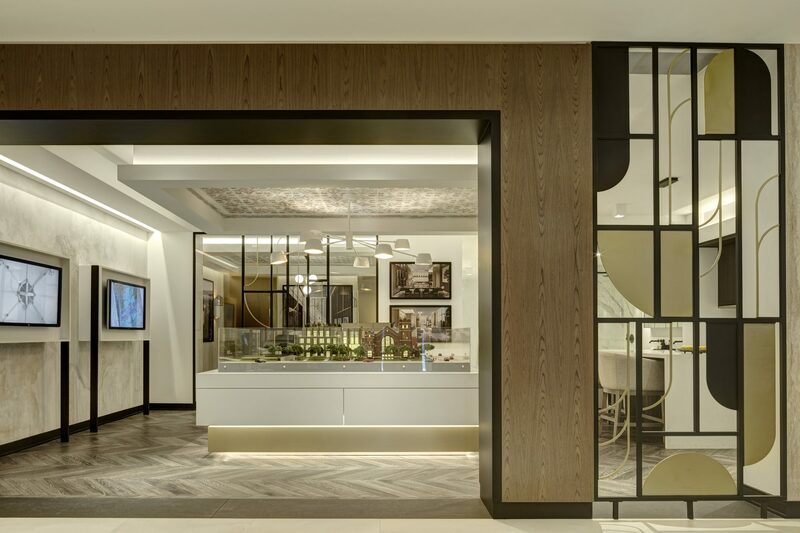 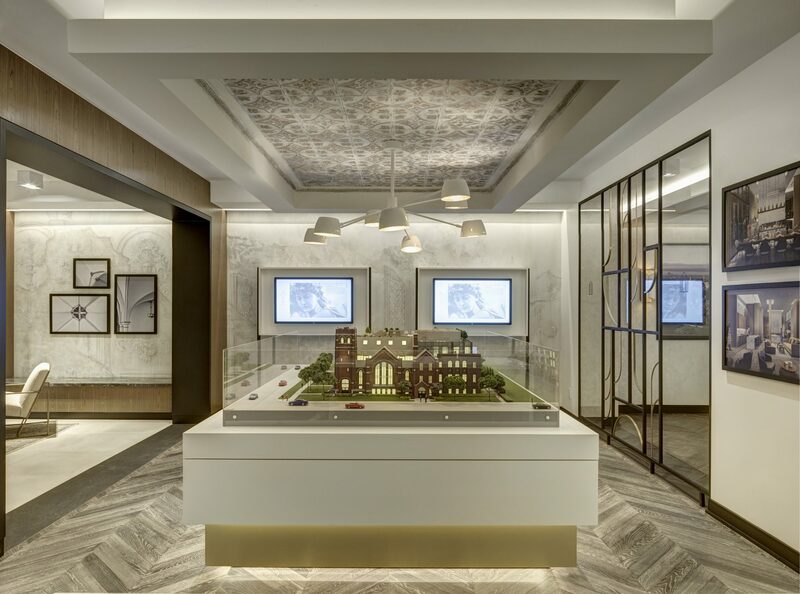 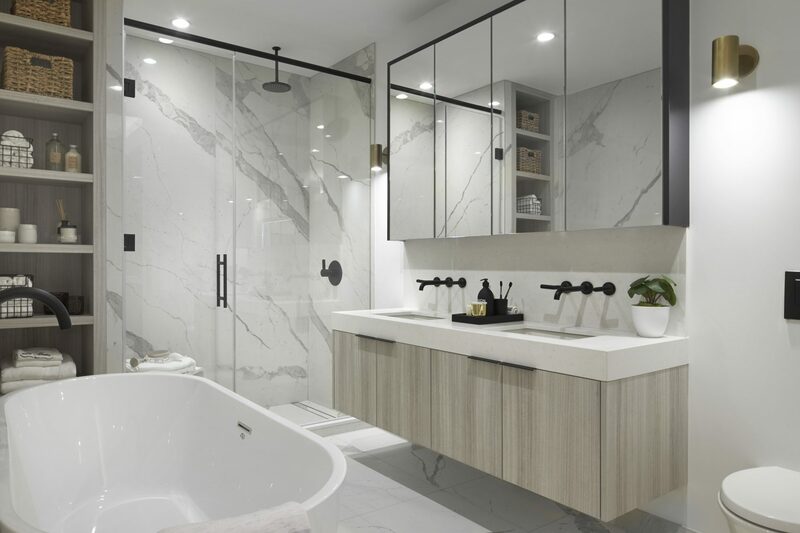 An overall tranquil upscale feel is expressed in this presentation centre gallery for a church conversion development located in Toronto’s Bloor Street West and Annette neighbourhood. 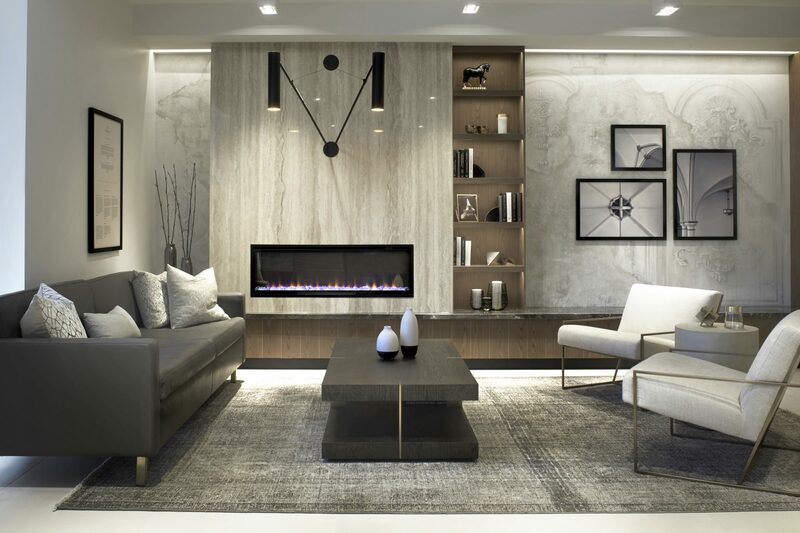 Layers of light travertine, marble and wood compose the backgrounds, while black and metallic accents lend understated drama and elegance. 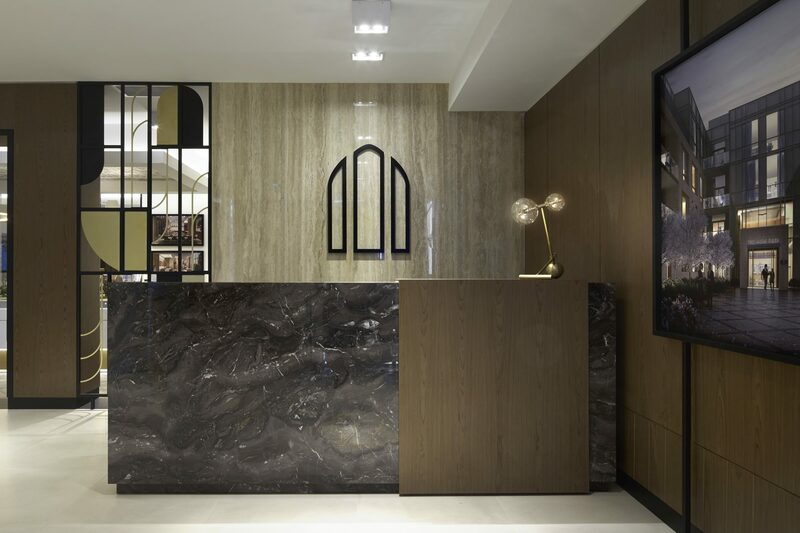 Elements abstractly drawn from the church's facade, inspired the living room vignette area rug, patterned ceiling treatment above the scale model and the reception’s arched branding logo.